Albert Einstein's theory of general relativity has passed its toughest test to date after scientists showed and explained gravity works as expected – even at immense scales. 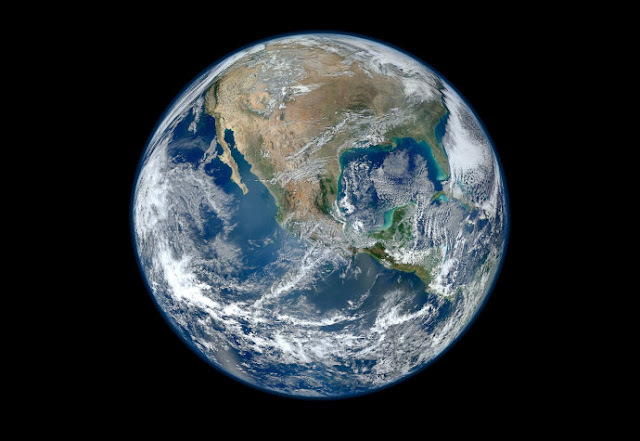 Some physicists had argued the German- born academic's idea that all falling objects accelerate identically would not apply in regions under extreme gravitational forces. But while this model proves correct in many situations - including here on Earth - scientists did not know if it would hold true in the cosmos. Some physicists predicted alternative theories of gravity would apply under these extreme forces. They are made from collapsed cores of stars that have undergone supernova explosions and are the densest stars in the universe, with some speculating their gravitational pull is two billion times stronger than that seen on Earth. Many spinning neutron stars are so-called pulsars that send regular lighthouse-like electromagnetic signals out through space which can be captured by radio telescopes on Earth. The team of astronomers tracked PSR J0337+1715's neutron star for six years using the Westerbork Synthesis Radio Telescope in the Netherlands, the Green Bank Telescope in West Virginia and the Arecibo Observatory in Puerto Rico. 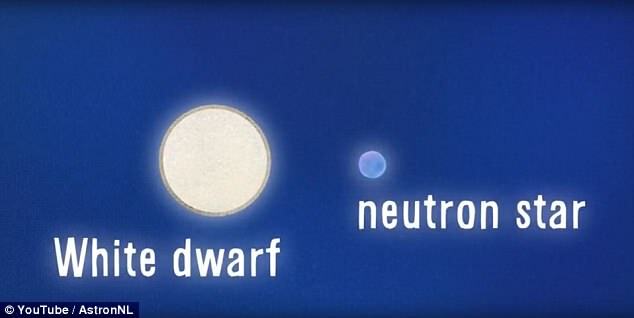 In the three-star system, the neutron star is in a 1.6-day orbit with one white dwarf, and the second white dwarf orbits this pair once every 327 days. 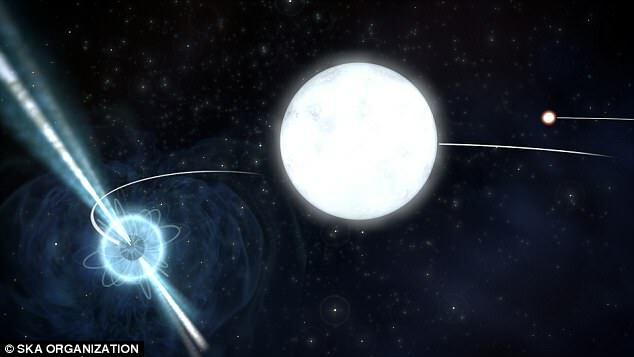 By tracking the inner pair of stars through the course of several orbits of the outer white dwarf, scientists could measure whether the pulsar and inner white dwarf were affected differently by the gravity of the outer white dwarf. Over time, the researchers found almost no detectable difference, meaning that each object accelerated at the same rate – even under extreme gravitational forces. 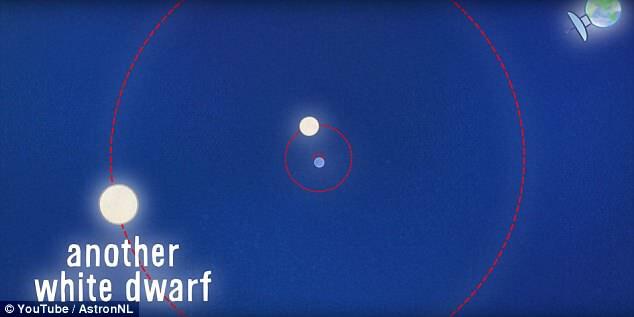 This means the two inner stars 'fall' toward the outer white dwarf at the exact same rate in the same way as the apple and cannonball described earlier, proving Einstein's theory to be true. 'This research shows how routine and careful observation of distant stars can give us a high-precision test of one of the fundamental theories of physics,' said study coauthor Professor Ingrid Stairs, a physicist at the University of British Colombia in Vancouver, Canada. Researchers said that attempts to disprove Einstein's theory are often driven by a desire to fill in the gaps left by the physicist's 20th century models. But while his theory of relativity might not explain dark matter or quantum physics, it holds up to scrutiny time and time again.